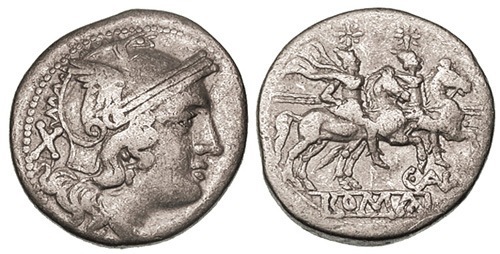 The gens Aelia, occasionally written Ailia, was a plebeian family at Rome, which flourished from the fifth century B.C. until at least the third century A.D., a period of nearly eight hundred years. 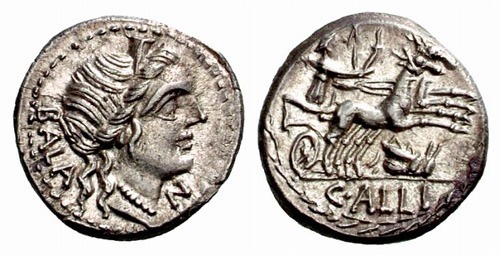 The archaic spelling Ailia is found on coins, but must not be confused with Allia, which seems to be a distinct gens. The first member of the gens to obtain the consulship was Publius Aelius Paetus in 337 B.C. Under the empire the Aelian name became still more celebrated. It was the name of the emperor Hadrian, and consequently of the Antonines, whom he adopted. A number of landmarks built by Hadrian also bear the name Aelius. The Pons Aelius is a bridge in Rome, now known as the Ponte Sant'Angelo. Pons Aelius also refers to a Roman settlement in Britannia Inferior, now the site of Newcastle upon Tyne, while Aelia Capitolina was a Roman colony built on the ruins of Jerusalem.